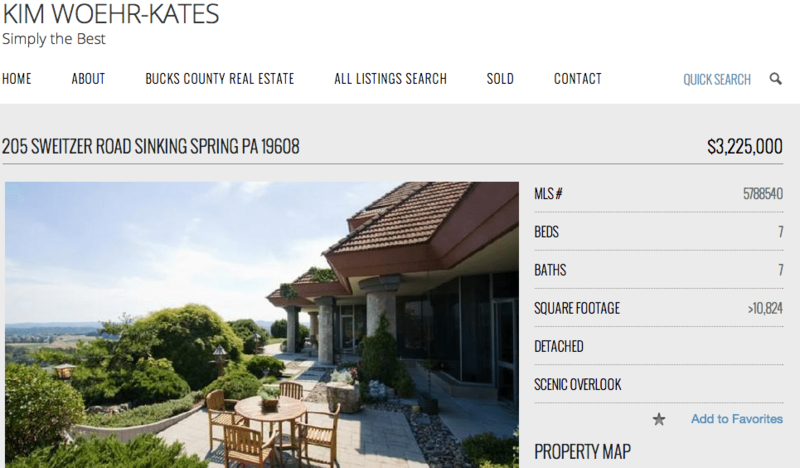 Nearly every Realtor can now get a personal website equipped with a listing search tool for just $5 a month. The National Association of Realtors has partnered with real estate website provider Placester to offer the deal, which is available to all Realtors operating in markets where Placester has Internet data exchange (IDX) agreements with multiple listing services. Placester says it supports IDX search and data for 561 multiple listing services and Realtor associations, representing 97 percent of real estate professionals in the U.S.
Placester-powered websites feature responsive, customizable designs, IDX and social media integration, blogging capability, phone and email support, and lead capture functionality. NAR is sponsoring the offer to complement its rollout of .realtor domain names, said Seth Price, vice president of sales and marketing at Placester. The first 500,000 Realtors who sign up for a .realtor domain get it for free for one year, according to www.dotrealtor.org, the dedicated website NAR has created to help administer the domain. “They’ve been working on the .realtor program for 12 years, and they knew that as it was coming to life that they needed to present the other side of the domain, which was an opportunity for an agent to have a website to use with that domain,” Price said. Realtor.com operator Move Inc. is also inviting agents turn their profile pages on realtor.com into a stand-alone website featuring a Web address that ends in “.realtor.” Move will host the site for free if agents choose to use their .realtor domains to host their realtor.com profiles. NAR did not immediately respond to a request for comment on whether other deals involving .realtor domains might be in the works. 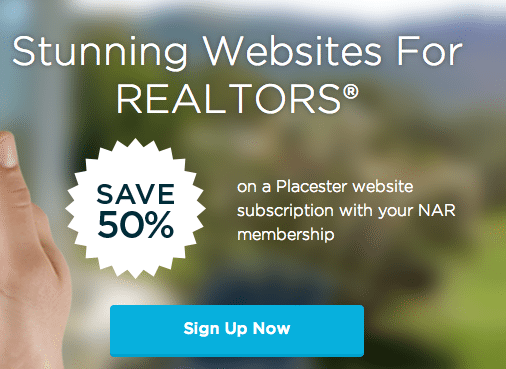 The deal with Placester makes Placester websites available to NAR members at half the cost of Zillow’s website product — one of the most affordable on the market. Another perk: Realtors with a .realtor domain get the first six months of a Placester website subscription for free. NAR is not directly subsidizing the deal, Price said. But NAR is collaborating with Placester to add some of its technologies to the back end of Placester’s product, and will promote the deal as a member benefit. Screen shot promotion for NAR and Placester’s website offer. NAR and Placester aren’t ready to disclose any of the features NAR might weave into Placester’s offering, Price said. The offering also provides insight into Placester’s strategy for growth, making clear that the startup has big plans for the industry. Placester has now slashed the cost of its agent websites for Realtors by 89 percent from just a short time ago, signaling that the firm is currently much more interested in gobbling up market share than turning a profit. “You could look at this like many of the other technologies that exist in the world today where investment capital empowers the technology,” Price said. Providers of those technologies aren’t necessarily making money on each service or product that they sell. “They’re building the infrastructure to have that technology in the hands of the most amount of people — that economies of scale is where the profits come from,” he said. Placester will develop new products that could open up revenue streams once its erected that “infrastructure.” The “sky is the limit” for those products, he said, but some examples might include single-property websites and visitor-tracking capabilities for its agent websites. The company has already developed a listing search tool for publishers. Placester recently nabbed $5.5 million in a funding round led by Romulus Capital partly to help energize that service, and has already bagged media giant Hearst Corporation as a client. Placester worked on the deal with NAR for the better part of the year, Price said. The trade group selected Placester after reviewing applications from a number of firms, he said. Editor’s note: This story has been updated to note that Placester says it supports IDX search and data for 561 MLSs and associations, representing 97 percent of real estate professionals. What if .realtor domains turn Google into AgentMatch?